Lindenwood dance students perform a piece choreographed by former student Taylor Plodzien during the Winter 2017 Dance Concert. Plodzien's piece was a mix of ballet and contemporary styles. Are you in search of a reason to get up and out of your dorm this week? Here are five things that you can do this week on Lindenwood’s campus and around the St. Charles area. 1. Continue the celebration of Black History Month at a BSU tabling event. Members of Lindenwood’s Black Student Union will be outside of the Spellmann Dining Hall to discuss cultural appropriation and assimilation. There will also be a discussion about inventions made by black people. This is the third to last event for BSU’s Black History Month celebration. For more information on this event, click here. 2. For the 21+ crowd, head to Fuzzy’s for National Margarita Day. National Margarita Day is being celebrated all day at Fuzzy’s Taco Shop. Get a 12-ounce margarita, frozen or on the rocks, for $2. Visit Fuzzy’s Facebook page for more information. 3. 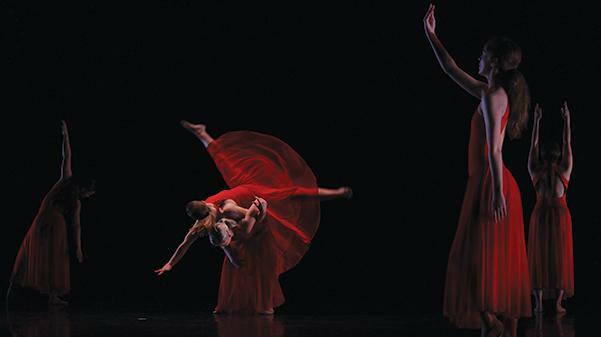 Check out performances choreographed by students and faculty at the Winter Dance Concert. Enjoy a unique dance experience during the first dance concert of 2018 presented by Lindenwood’s Dance Program. According to the Lindenwood website, this performance will feature “innovative and unique choreography developed and adapted from the mind of the individual artist.” Tickets are free for students and staff. General admissions tickets can be purchased for $10 at the Box Office in the J. Scheidegger Center for the Arts. Click here for more information. 4. Enjoy a night of mental magic with Josh Fletcher. Doors open at 7 p.m. Performance starts at 7:30 p.m.
Lindenwood’s Campus Activities Board and Student Involvement present Friday Night Live with mentalist Josh Fletcher. Each performance is unique with different methods of magic. All tricks are performed using people’s thoughts and ideas. Free snacks and drinks will be available. More information on this event can be found here. 5. Cheer on your Lindenwood Lions at one of the many sporting events going on at home this weekend. Lindenwood is hosting multiple games, matches and meets this weekend. Remember to download the Lindenwood Lion Pride app to earn points for attending athletic events. Points can be used to buy beanies, bobbleheads, sunglasses and more. Check the Weekly Roar sent to Lindenwood email accounts for times and locations for events.